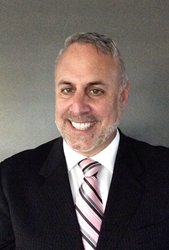 VetriScience® Laboratories is very pleased to announce that Greg Arcari has joined its team. Mr. Acari has accepted the position as Key Accounts Manager for VetriScience®. VetriScience® Laboratories is very pleased to announce that Greg Arcari has joined its team. Mr. Arcari has accepted the position as Key Accounts Manager for VetriScience®. Mr. Arcari’s main responsibility will be to improve communication, strategic planning, marketing efforts and growth with our distributor partners. He comes to VetriScience® with a wealth of experience and knowledge in this arena, and knows many key VetriScience® partners from his previous efforts in the industry. VetriScience® is well poised for rigorous growth in 2016 as the company continues to focus our efforts on the vet exclusive Pro Line and product innovation. Mr. Arcari’s presence as Key Accounts Manager will undoubtedly contribute to that growth and to customer satisfaction. Visit http://www.vetriscience.com for more information.